MOSCOW, Idaho – As he seeks to become the University of Idaho’s new leader in the quintessential team game, junior quarterback Mason Petrino has already taken one for the team. He is wearing a different number (8) in the Vandals’ spring practices, not the No. 4 he formerly wore. Petrino changed digits to accommodate incoming junior college wide receiver Ariyon Huff, who also wore No. 4. In such small ways and large, Petrino, sophomore Colton Richardson and redshirt freshman Dylan Lemle are trying to fill the imposing void left by the graduation of Matt Linehan, a four-year starter, Idaho’s second-leading all-time passer, and Vandals quarterback in the Famous Idaho Potato Bowl victory two seasons ago. Petrino started once last year when Linehan was lost for the final three games with a hand injury. But Petrino gave way to injury when he hurt a shoulder that had originally been damaged in the preseason. Richardson lost a redshirt and finished out the season for Idaho. He threw for 228 yards and a touchdown in a 24-10 win over Georgia State, Idaho’s final game in the Football Bowl Subdivision. UI returns to the Big Sky Conference and Football Championship Subdivision this year. Lemle is the only one of the three who has not yet seen game action. “I’m learning from Mason and Colton, taking all the coaching I can,” Lemle said. Idaho’s offense is considerably more complex than what Lemle ran in high school. In Idaho’s fourth spring session Monday, all three quarterbacks looked competent in their craft. Their footwork was smooth, transitioning from back to front foot. Richardson throws with the most velocity and was hitting tight windows on midrange passes. Lemle has an easy, overhand delivery. Those two spin tight spirals. All three quarterbacks were accurate throwing on the move, and Petrino and Lemle are both quick and shifty enough to make the defense respect runs off play action. Paul Petrino has no plans to name a starter this spring. He said the goal is to get all three to the point where they can win games. He can envision scenarios where more than one quarterback plays next fall. Without Linehan as the starter and team leader, this spring is notably different for the quarterbacks, according to Mason Petrino. “There’s a new vibe with the offense,” he said. “A lot of new guys. … It’s different preparing as a starter than a backup. 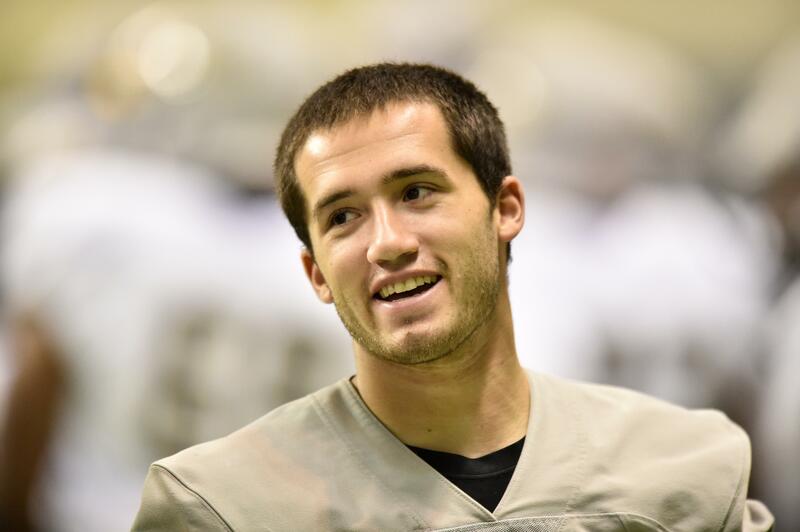 Linehan was the gold standard of references for Idaho’s young quarterbacks last year, particularly after he was hurt. Richardson said when he took over at quarterback, “Matt was always by my side,” whenever he was on the sidelines. Lemle looks notably less hectic this spring, saying the game is slowing down for him. “Everything I learned from Matt I’m just kind of seeing out there now,” Lemle said. All three quarterbacks, Richardson said, are trying to become more vocal in practice. Looming over all of them as Idaho begins the process of identifying Linehan’s successor is one realization. Published: April 3, 2018, 4:54 p.m. Updated: April 3, 2018, 6:18 p.m.